All studio directors need to know the basics of studio directing, whether they go on to direct news, drama, children's programmes or light entertainment. Learning the ropes on air can be costly: this book gives you all the practical and technical guidance you need to deliver a trouble free programme. Starting with an emphasis on the skills that make a good director, the essential day to day know-how is outlined - from different presentation formats to the roles of the production team, camera technology, composition, lighting, digital video, chroma key, make-up and wardrobe. Whether you are a student or practitioner wishing to sharpen up your technique, this manual is an excellent guide to the technology and skills required. Networks * Cameras and Pictures * Pre-Production * Cutting and Combining Pictures * The Studio Team * Interviews * Magazines * Script Layouts * Electronic Newsrooms * Practical Directing * Communications * Directors Technology * Dealing with Problems. 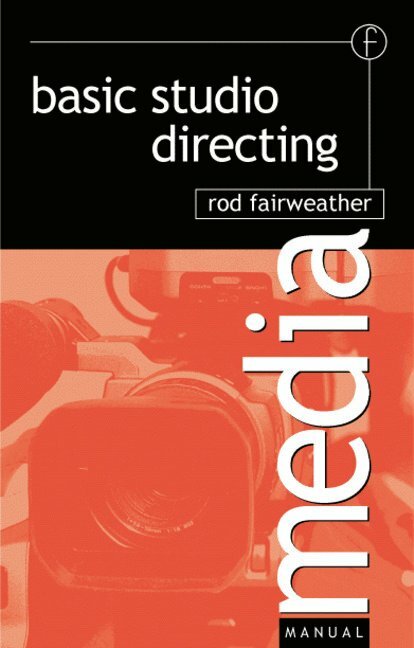 Rod Fairweather is a freelance director and has worked for companies such as SKY TV, GMTV, ITN and MTV Europe. He conducts training courses on directing all over the world including Singapore, India and Australia. Directing Skills * Working in the Production Team * Working with Network Directors * Studio Cameras * Standard Shots * Camera Command * Monitor Stacks * Digital Video Effects * Studio Sound * Lighting VT * Interviews * Script layouts * News and Current Affairs * Electronic Newsroom Systems * TV Systems * TV systems Technical Disasters.